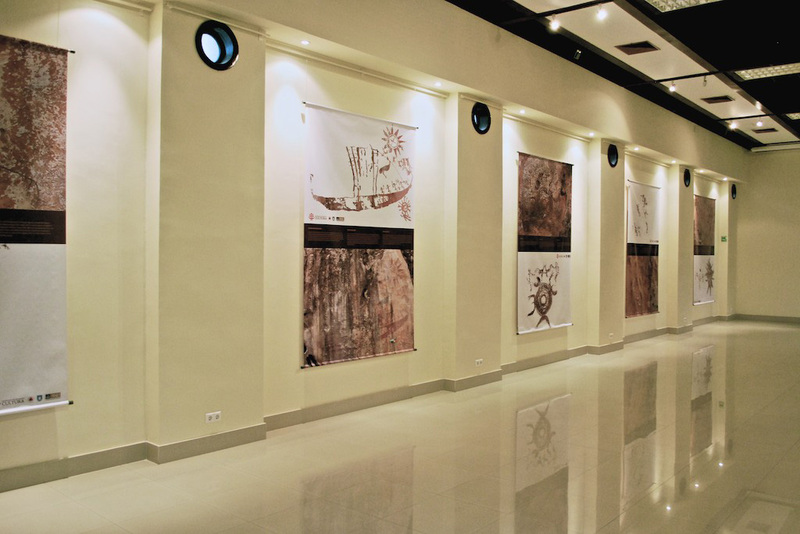 Pintura sira iha Fatuk Lolon (Rock Art, in Tetun language) was an exhibition displayed at Casa Europa in October 2009, during the International Symposium of Cultural Heritage in Timor-Leste endorsed by UNESCO. David was commissioned to design the exhibition panels and brochure containing images taken by archaeologist Prof Sue O’Connor from ANU (Australian National University), nearly after 10 years of investigating in one of the richest regions of painted rock art in Southeast Asia. The images were taken around the Nino Conis Santana National Park (Timor-Leste), probably dating ca. 3000 to 2000 years old, and cleaned up with specialist imaging software by ANU technicians.